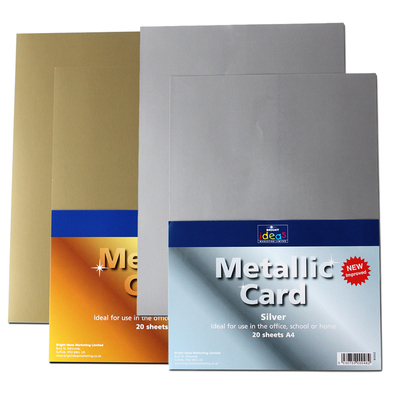 When your crafting requires a touch of luxury, our A4 Card Sheets in metallic colours promise to emit a timeless shimmer and sparkle. Think Christmas themed projects or gifts for special anniversaries and you've already created a number of situations where our metallic card would be favoured. 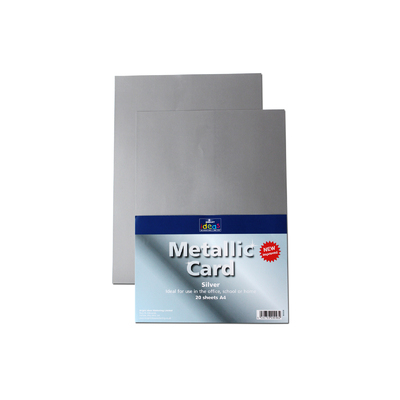 Made of a high quality and durable 225gsm card, each sheet comes cut in an A4 size which promises to blend well with other paper in your store cupboards. 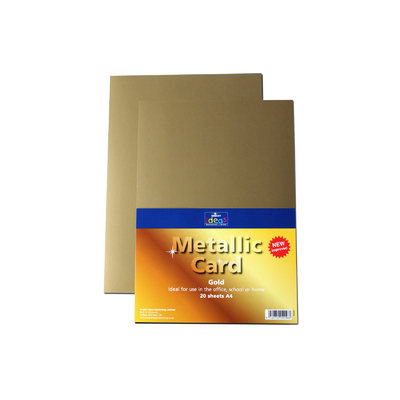 With a shiny finish and easy to cut and fold to your requirements, these sheets of A4 card can either be used on display boards, in specific crafting projects or within larger files to inject a touch of lustre and shine to any document. Here at Gompels, we have a wide range of Arts and Crafts products for all your needs with everything from Acrylic Jewels and Multi Spangles Sequins through to essentials such as Creative Scissors and Glue Sticks.